Dèesse Magazine: Ginger + Liz Spring Collection for Rickys NYC .... COVET ! 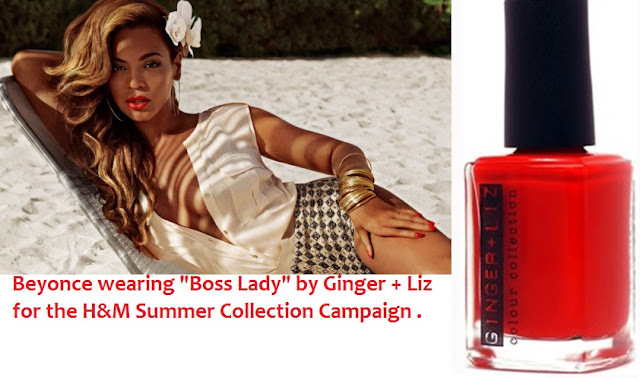 Ginger + Liz Spring Collection for Rickys NYC .... COVET ! "Grounded" - I love the Greige movement , I will NEVER get tired of these shades . "Sitting Pretty" - I am a sucker for Pinks ! "Sparkle Box" - Every girl deserves some sparkle in her life . Although "Boss Lady" is not part of the new Spring Collection exclusive to Rickys NYC , it is DEFINITELY a honorable mention . Beyonce's red-hot nails made a statement in the H&M campaign photos , manicure done by Lisa Logan. This color is also available at Rickys NYC. Who doesn't LOVE a RED nail ?